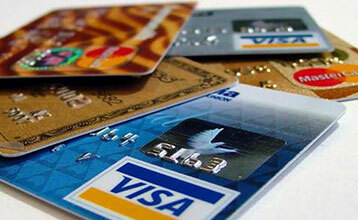 Selecting the wrong credit card is a common mistake many people make. There are so many products out there that you have to first identify your needs in order to pick the one that works best for you. Next is reducing the costs associated with using that little piece of plastic. 1. Pay your balance in full: Every month, every time. It’s the only way to guarantee you won’t spend a cent in interest. 2. Know the interest rate on your credit card: 28% of Canadians don’t know the rate they are paying, according to a 2007 survey of 4,000 Canadians by Credit Canada. Make it your business to find out. 3. Ask your bank about low-rate credit cards: If you can’t pay your balance in full every month, switch to a low-rate card. All it takes is a simple phone call to your bank. These no-frills cards charge 10-12% interest, sometimes even less. 4. Ditch the retail credit cards: Some chain store cards charge upwards of 30% interest, the very top rates on the credit card heap. 5. Don’t make cash advances on your credit card: The interest rate kicks in from the day you withdraw the money – there is no interest-free period. And some credit cards charge a higher interest rate for making these advances. 6. Make sure the reward program offers real rewards: If you aren’t paying your balance in full every month, your rewards are being cancelled out by the interest you are paying. 7. Negotiate the annual fee: Ask your bank to waive this fee. If you’re a longstanding customer with a good credit rating, you just might get lucky. 8. Know exactly when the bill is due: If you miss your credit card payment by even one day, you’ll have to pay full interest for that month. And you don’t need to wait until you get your statement to pay the bill – you can do that anytime. 9. Reduce the number of credit cards you have: If you aren’t paying off your balance each month on all your cards, minimize the damage and carry only one card. 10. Lower your limit: Some people just can’t handle having access to $10,000 or more on their credit card. If you’re one of them, call your bank and simply ask to lower your limit to prevent yourself from overspending. previous post: Understanding GDS & TDS: What Can You Afford? next post: Debt Fatigue: How Long is Too Long to Be in Debt?